When your lost job such as employment is terminated due to some reasons such as your employer gets bankrupt, or business did not doing well and your employer has to cut off several job positions. You’d better check related employment law in your province and country to help yourself to get reasonable employment termination package from your employer. Just now we saw Canada CIC posted a twitter to introduce Canada has 3 types of Accountants. Please read Canada government website for more detail information. Some people don’t believe we never used Linkedin. It is real, we never used. So maybe we missed many chances, let me use it right away. Then you can search your friends who have already been in Linkedin, you have to input your email account information so that Linkedin can search your friend by using your email contact. The next step is that asks you whether do you want to invite more people who are your friend but he/she has not used Linkedin yet. And then, Linkedin searchs more people due to some information about your profile or other resource, and show you a list which you are interested in. You might find some people who you known. The next step: you can input more friends’ email addresses so that Linedin will send an invite email to them. All above steps you can select Skip if you do not want to do. Then you can select plan, the basic plan is free but the Premium plan costs $24.95. 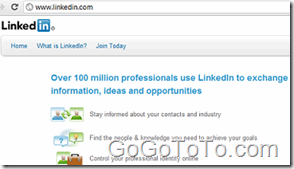 After you select a plan, you will be accessed to your home page of Linkedin. We will give more experiences after we used Linkedin well. eHealth Ontario is playing the lead role in harnessing information technology and innovation to improve patient care, safety and access in support of the government’s health strategy. We are providing a single, harmonized, coherent province-wide eHealth Strategy and aligning it through a single point of accountability. Our work will enable and fulfill the government’s strategic health care priorities. Deliver a comprehensive, patient-focused, secure and private electronic system that will improve the way patients receive care. Friends in Toronto shared a info: There is employment scam in Canada: William Baxter Projects, it is a Employment scam. Friends told the contact information is 416-363-9245. Actually if you know how to find job in Canada, you should know a professional job agency company should not charge the fee from job finder, but from employers. Please read here for detail. Just found some Government Job Websites of Canada.